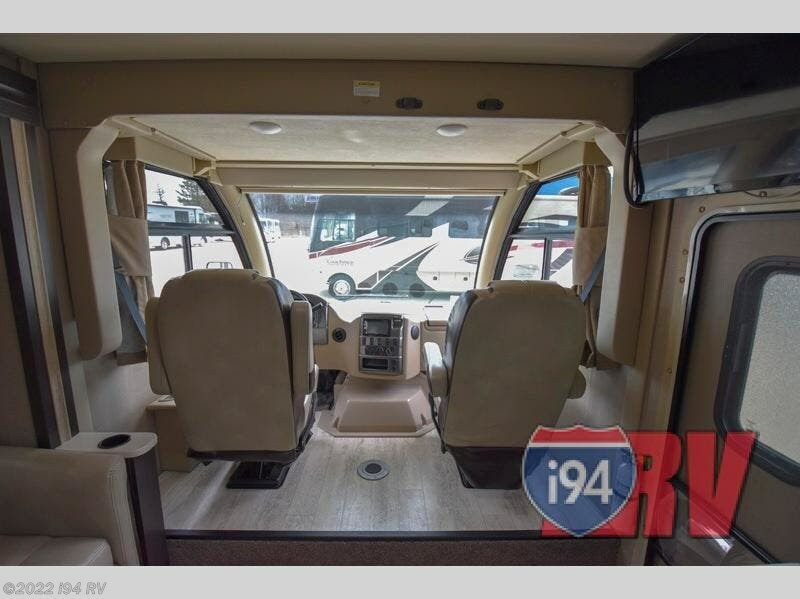 Making memories has never been easier! 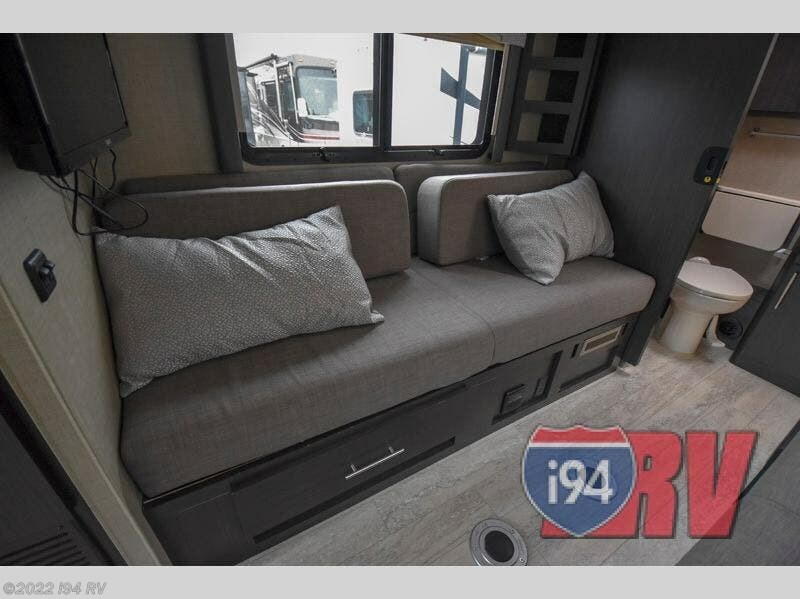 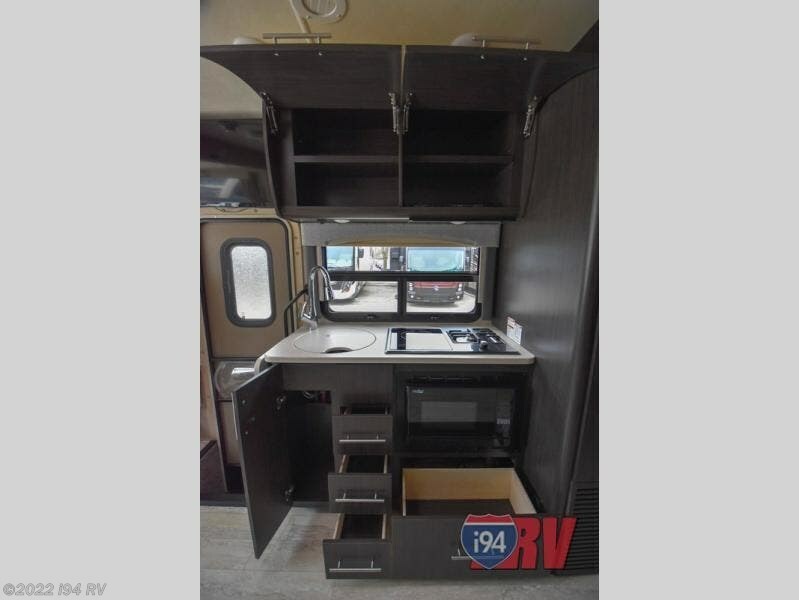 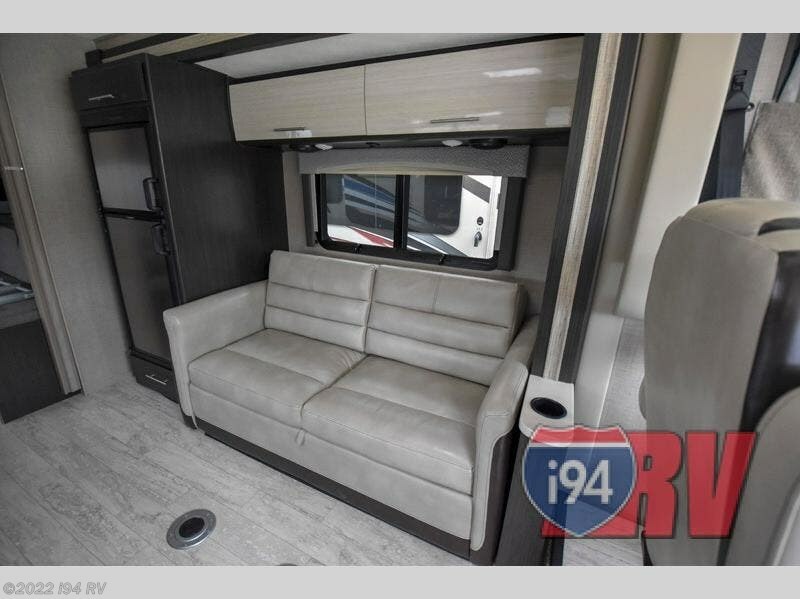 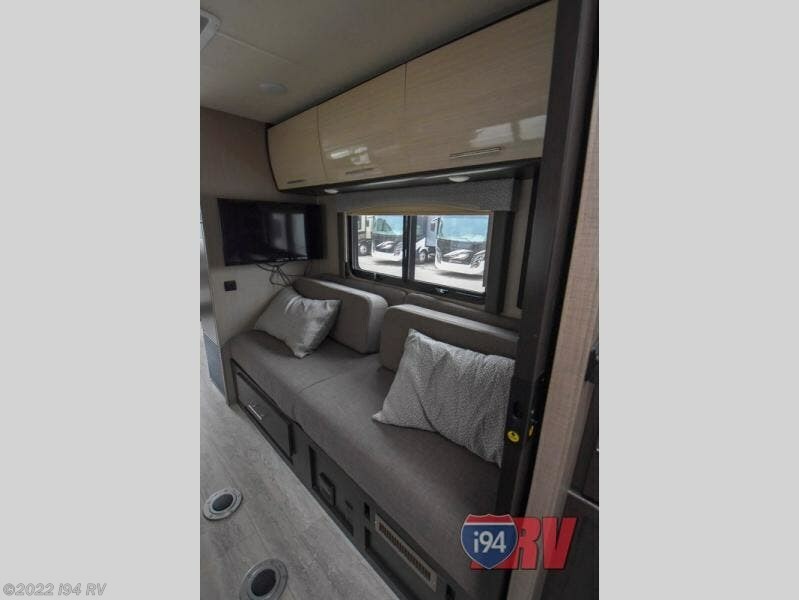 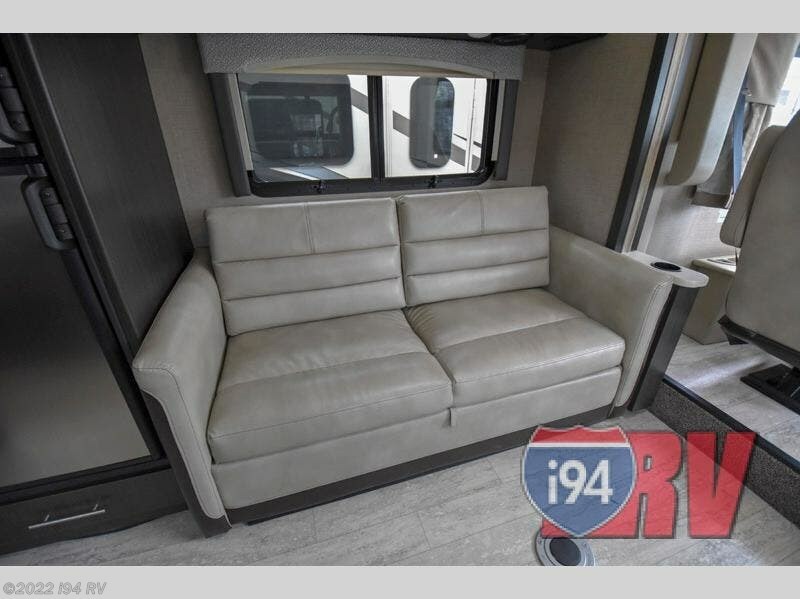 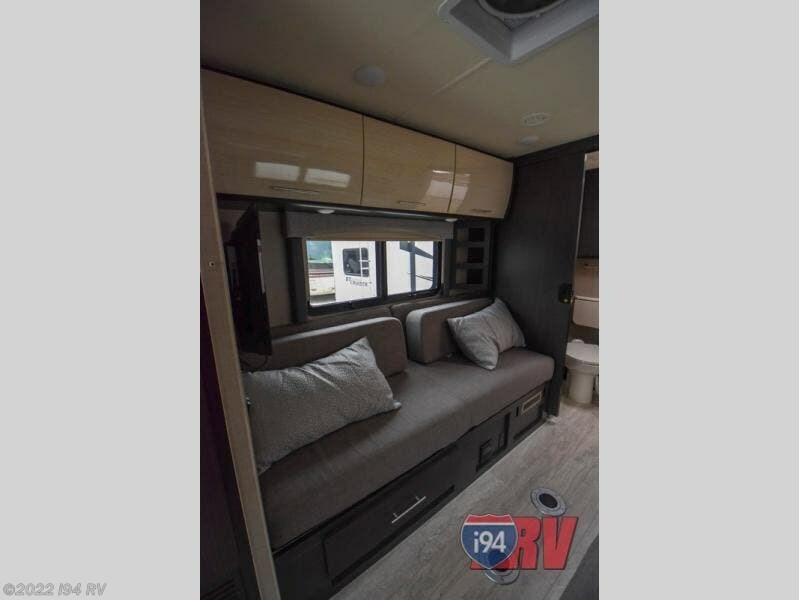 When you travel with this Vegas model 25.5 you will find sleeping space for five with the two twin sofa beds that can easily convert to a king bed, a 68" sofa bed slide with removable table for dining, plus there is also a drop-down overhead bunk above the cab area that is 38" x 73" that the kids will likely want to draw straws for! 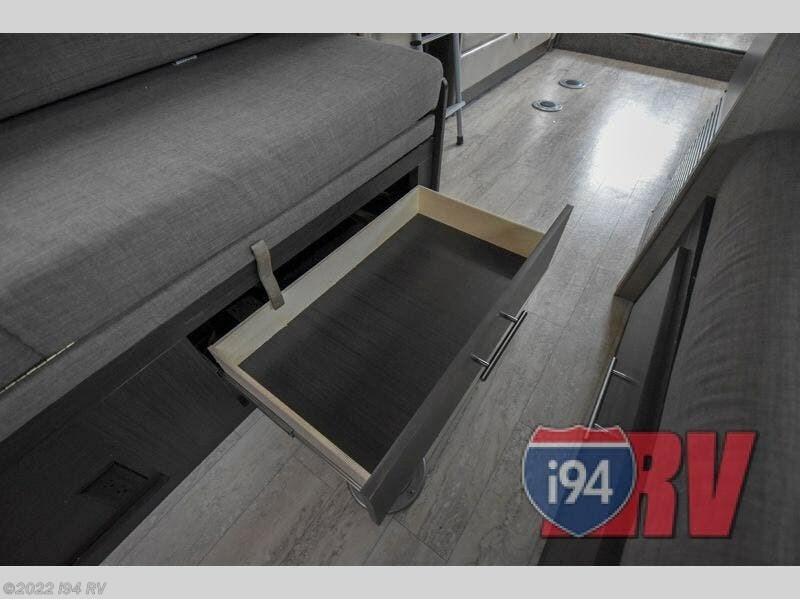 The removable table can be placed between the rear twin sofa beds for dining or game playing as well. 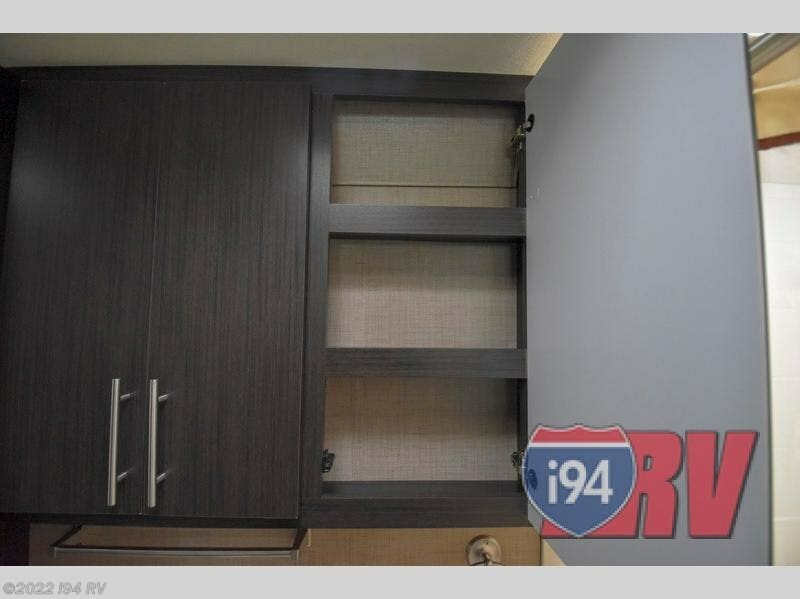 A large pantry makes it easy to stock-up on non-perishable snacks and food so you don't have to keep stopping at a store along the way. 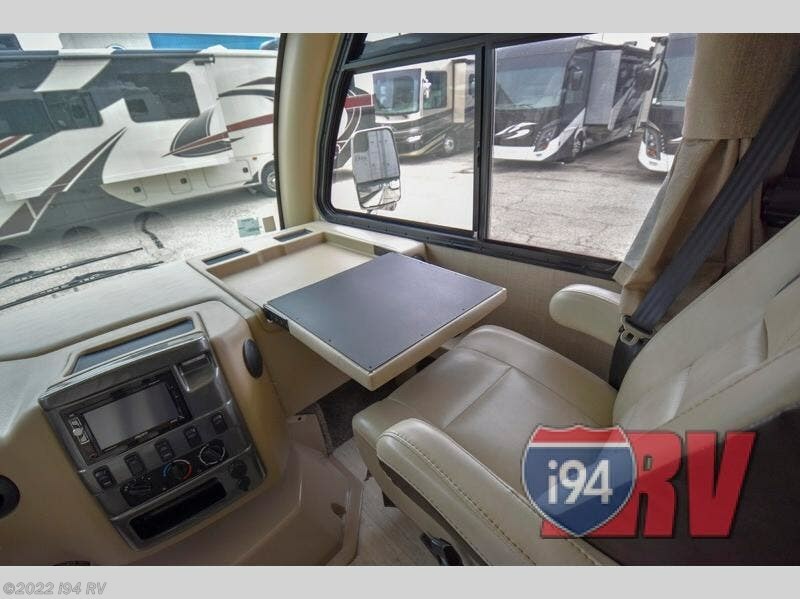 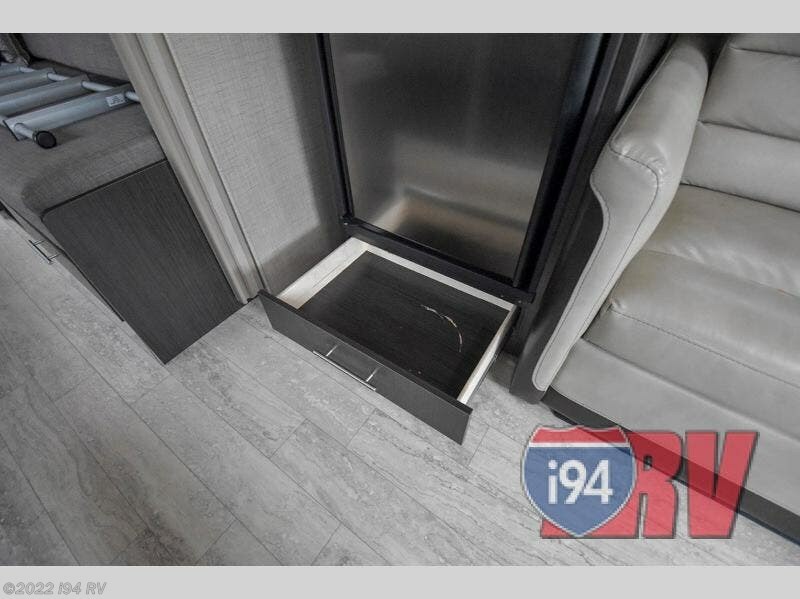 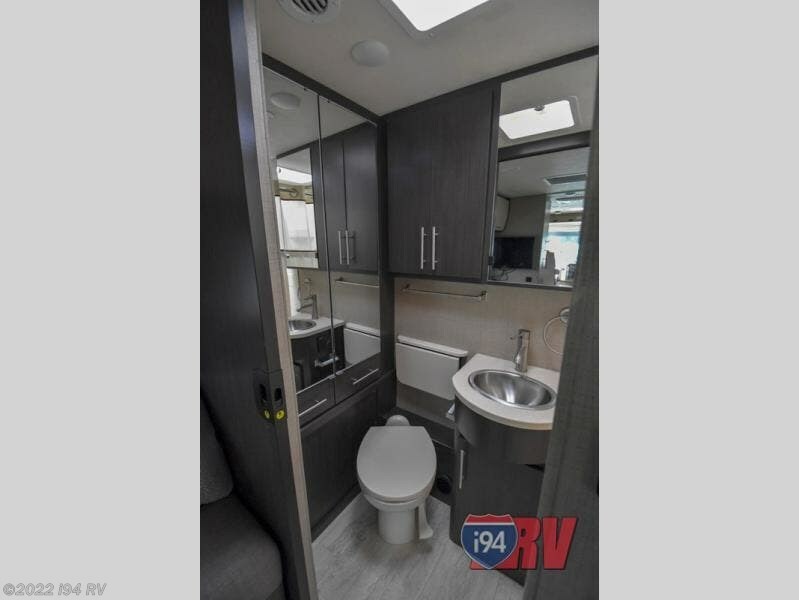 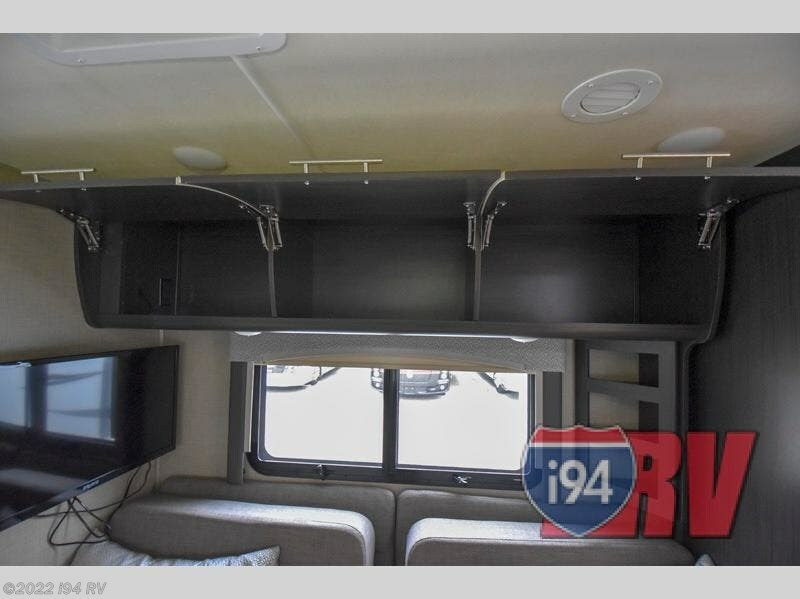 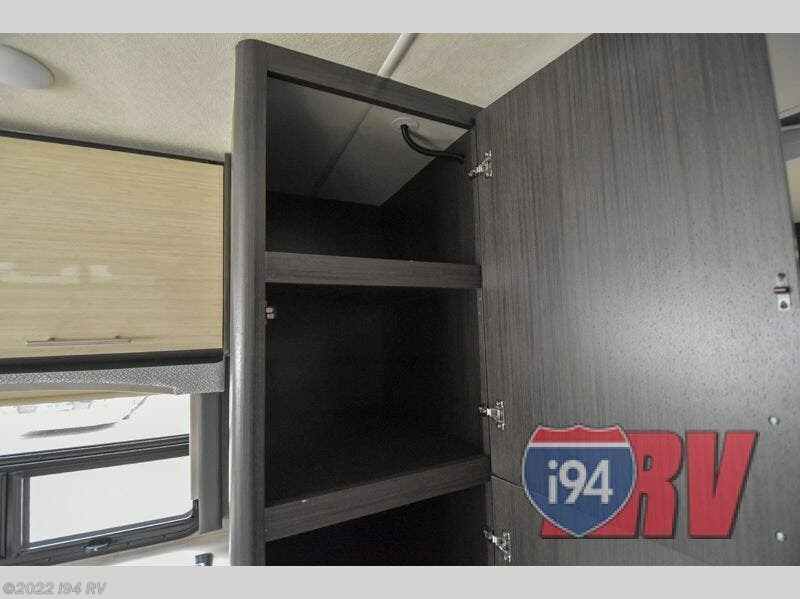 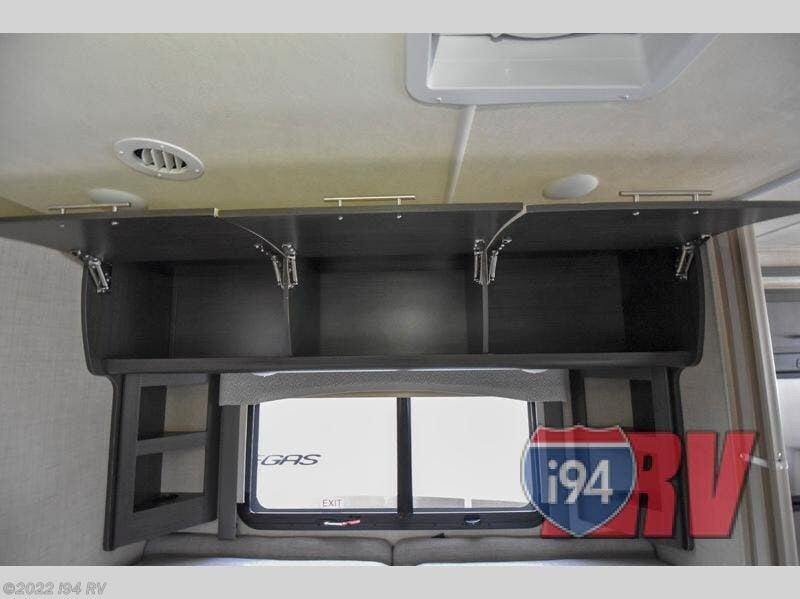 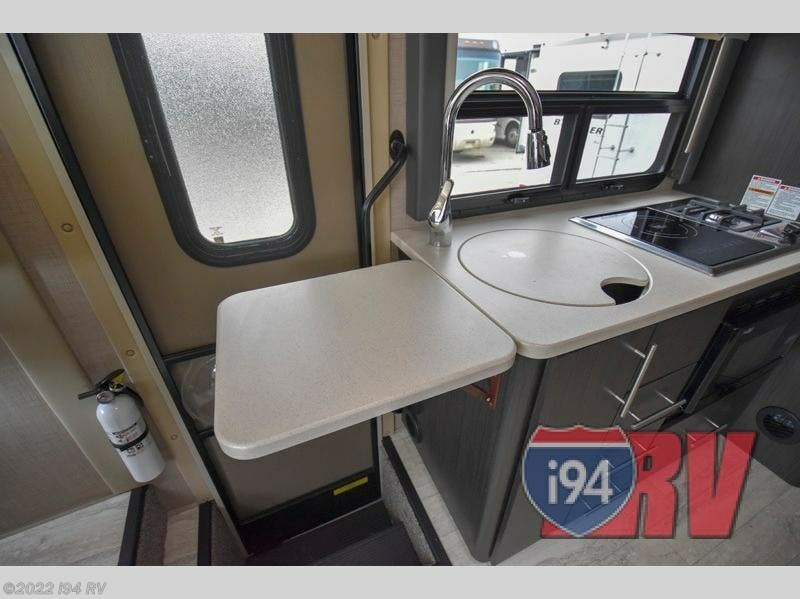 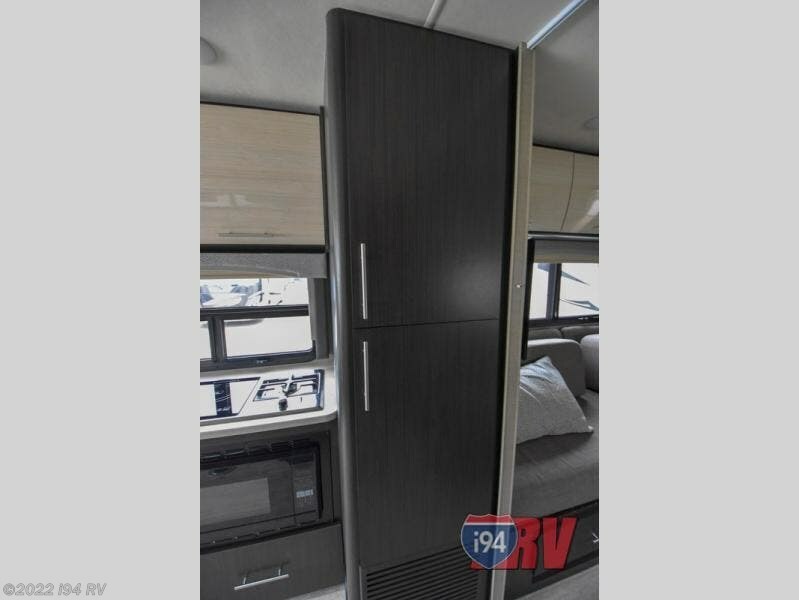 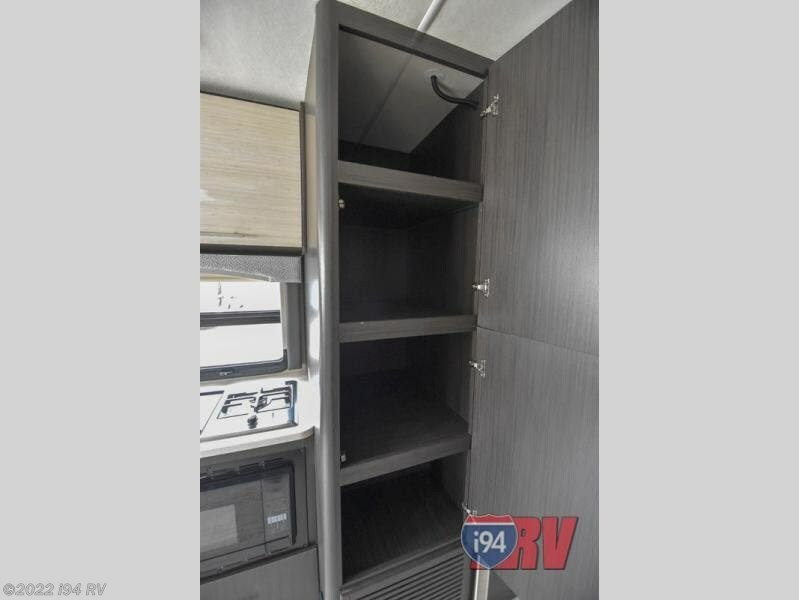 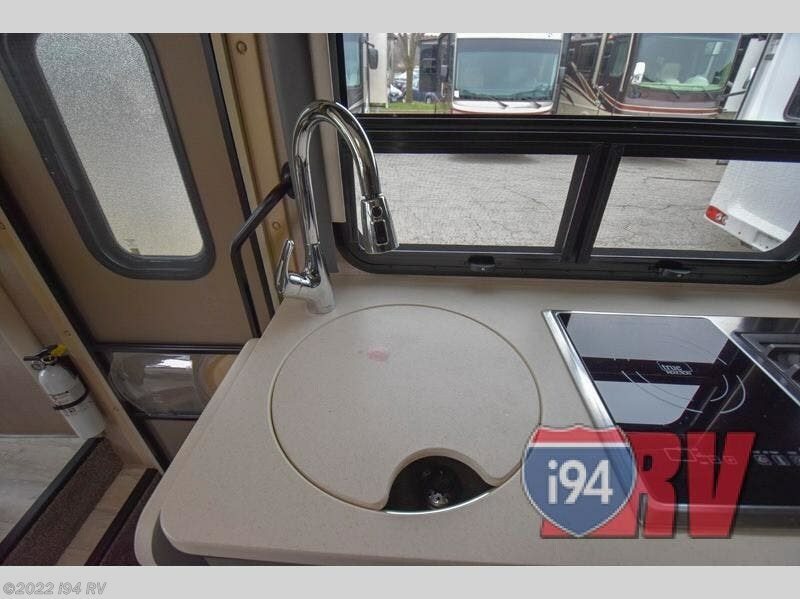 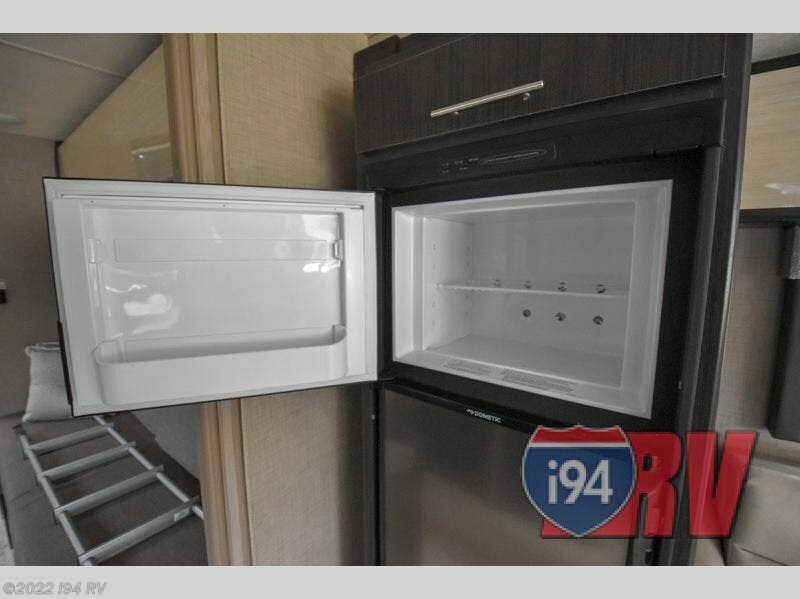 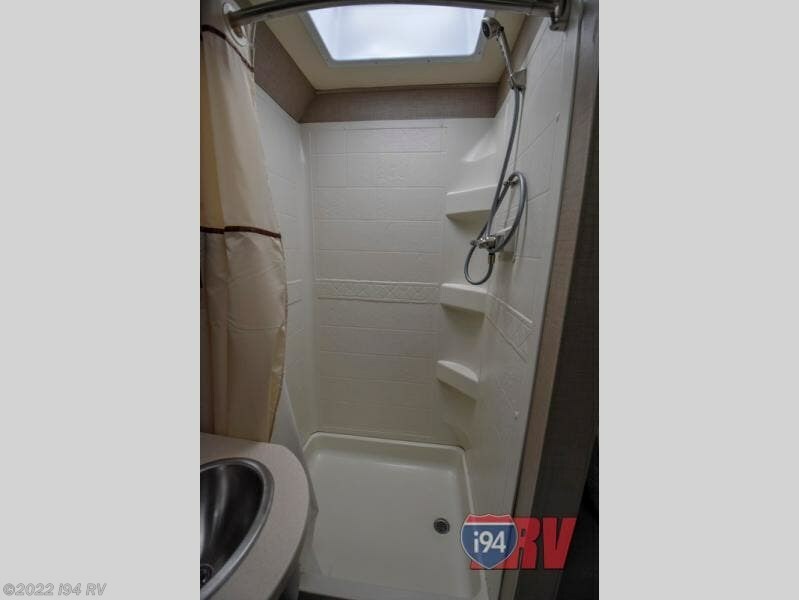 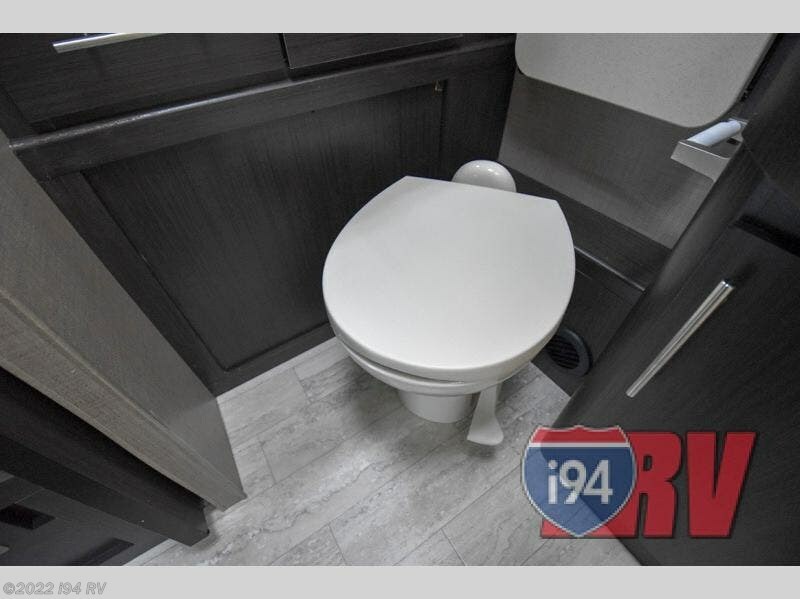 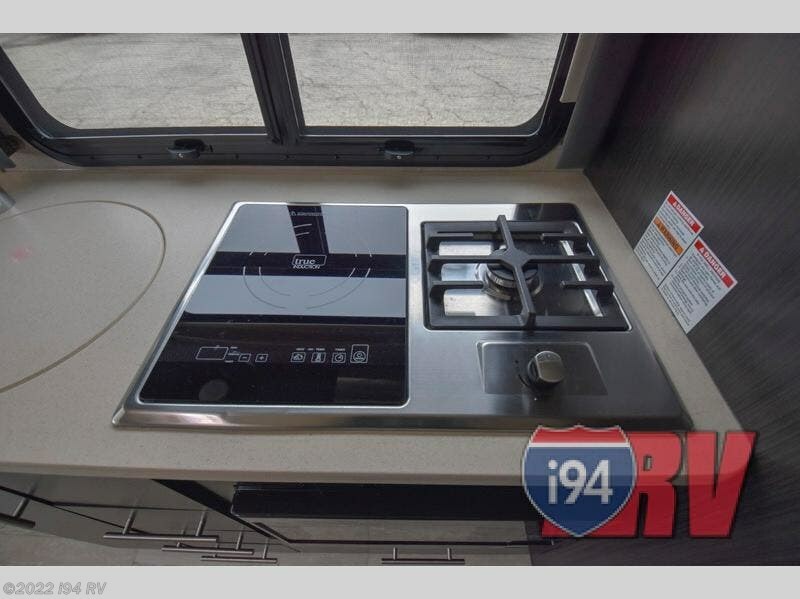 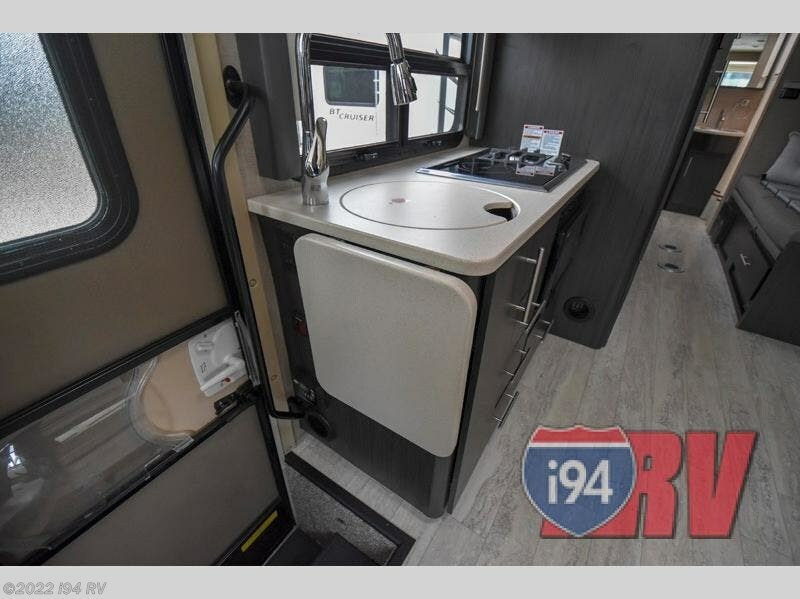 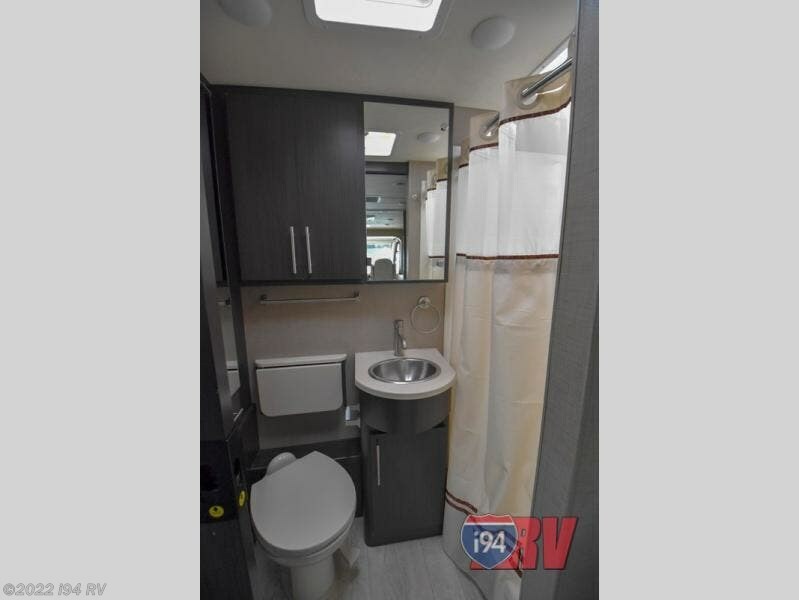 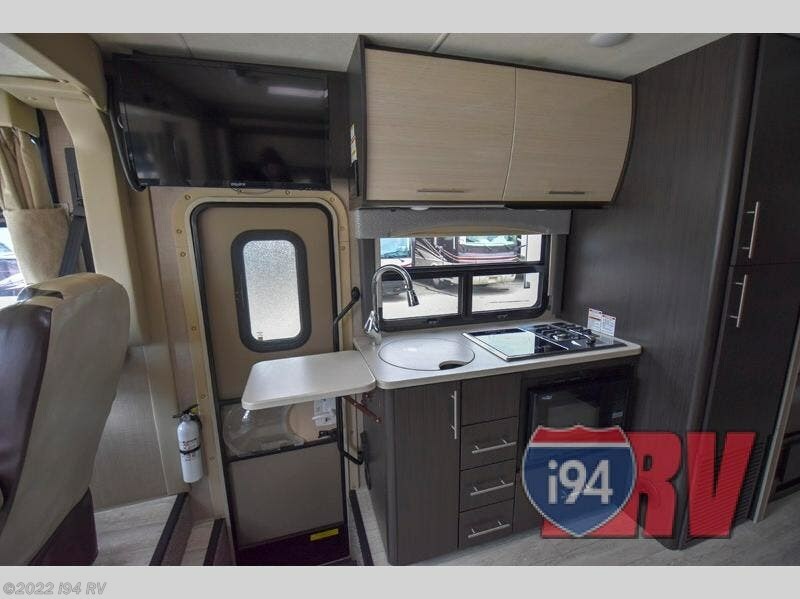 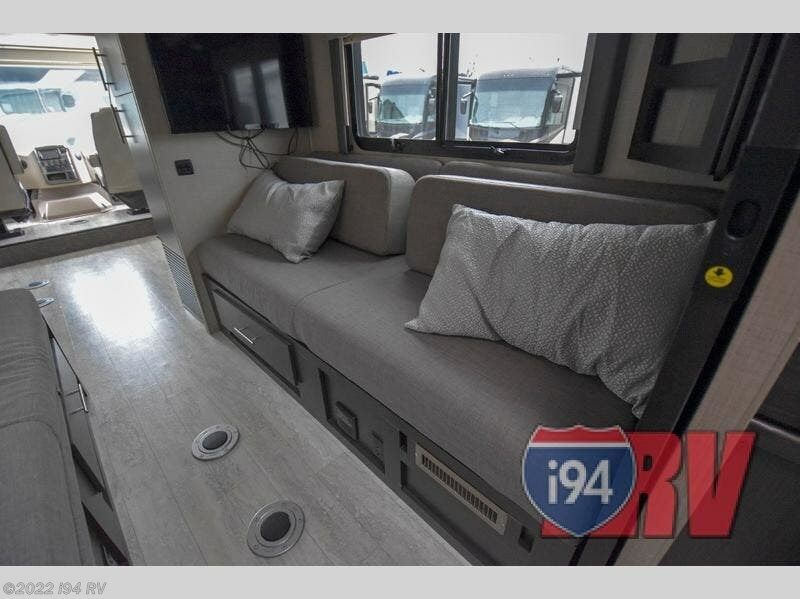 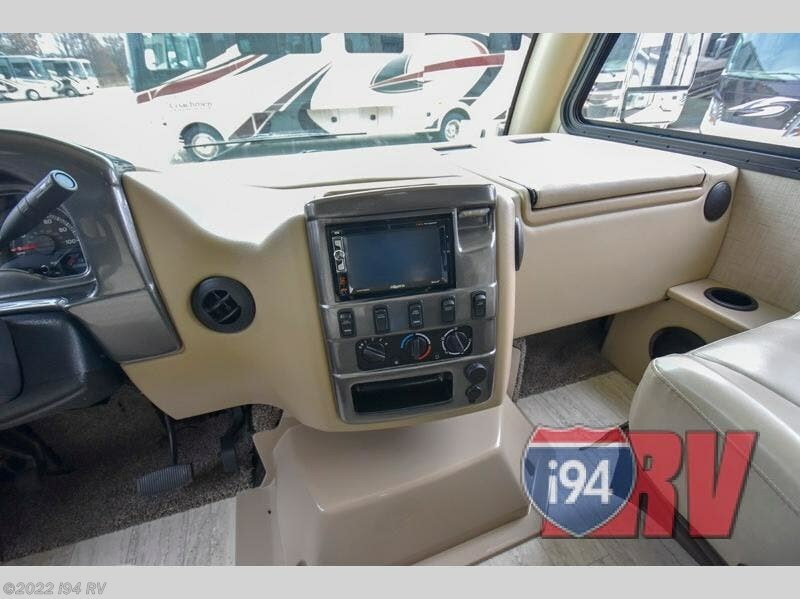 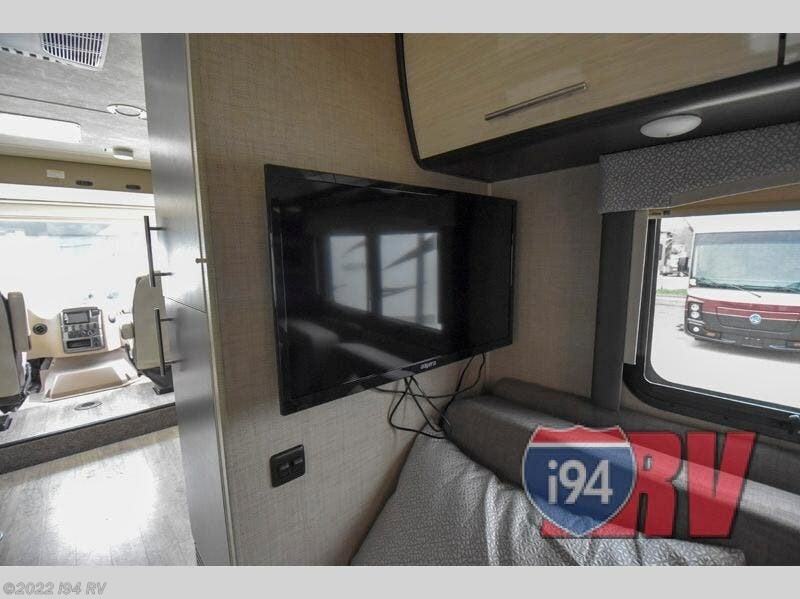 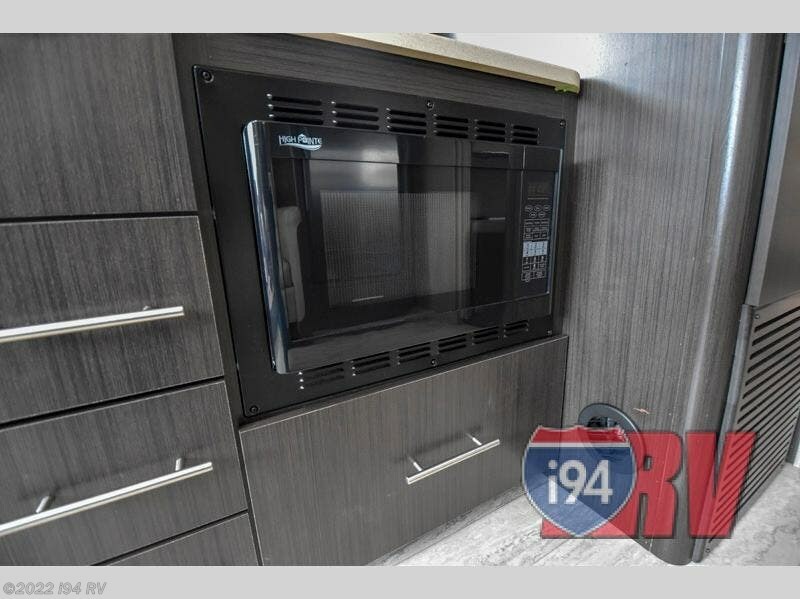 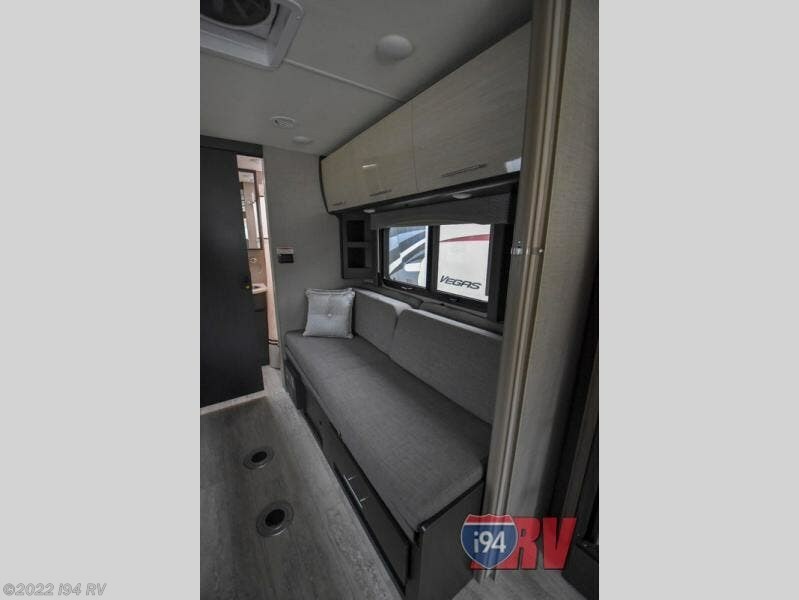 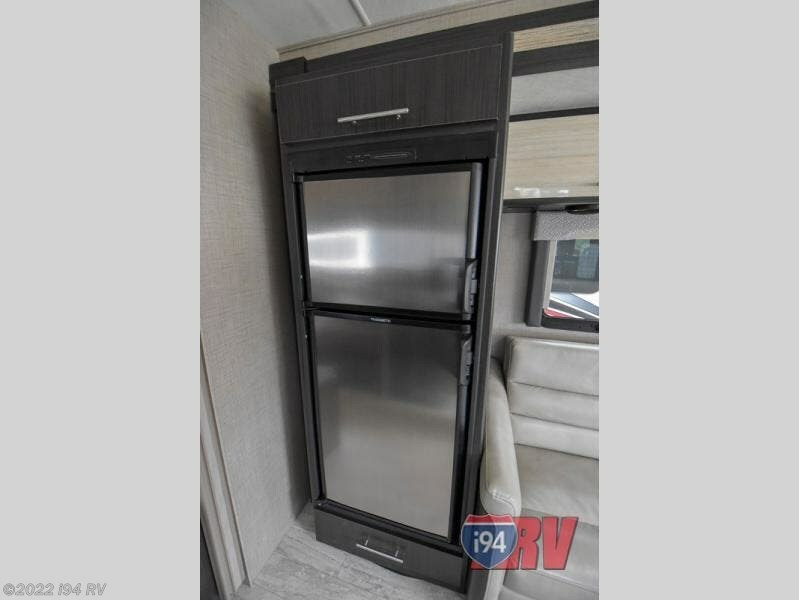 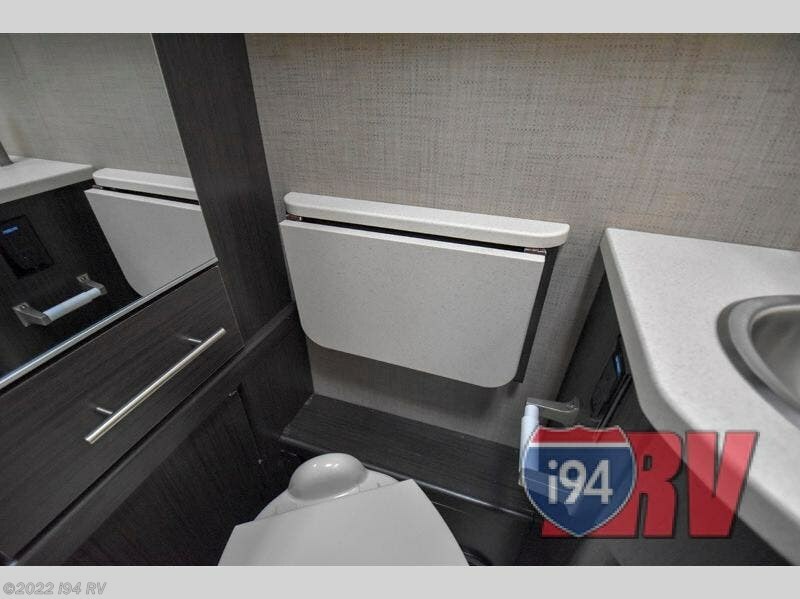 You family will surely appreciate the three 32" TVs for inside and outside viewing when you aren't out exploring your latest destination, and the convenient rear bath features a 30" x 36" shower, toilet, sink, and large closet. 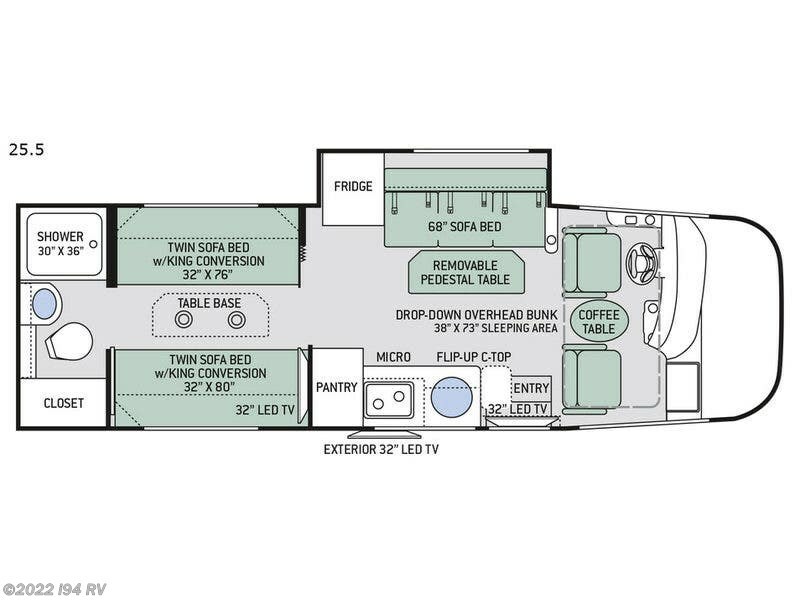 Although the Vegas RUV class A is compact in size you will find plenty of features and a whole lot of function in any model you select. 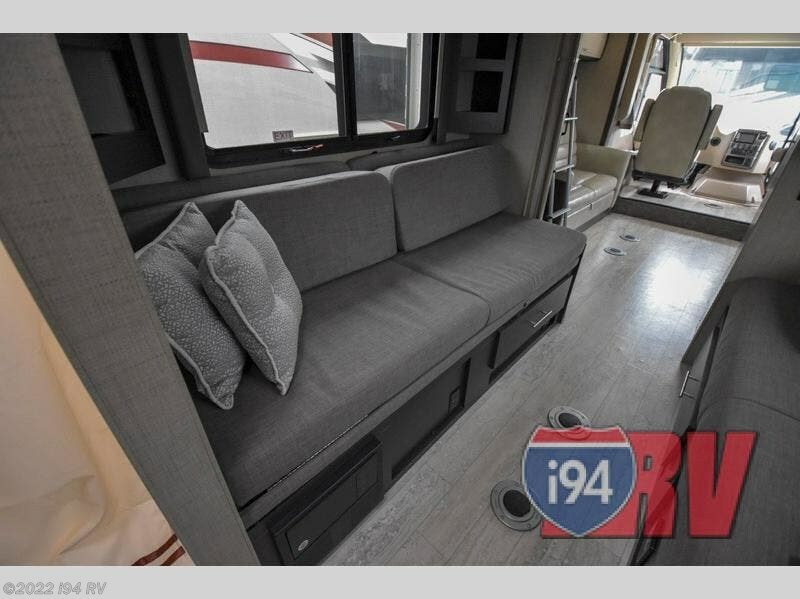 Each has been specifically designed for families that have a desire to travel or for those who enjoy an active lifestyle. 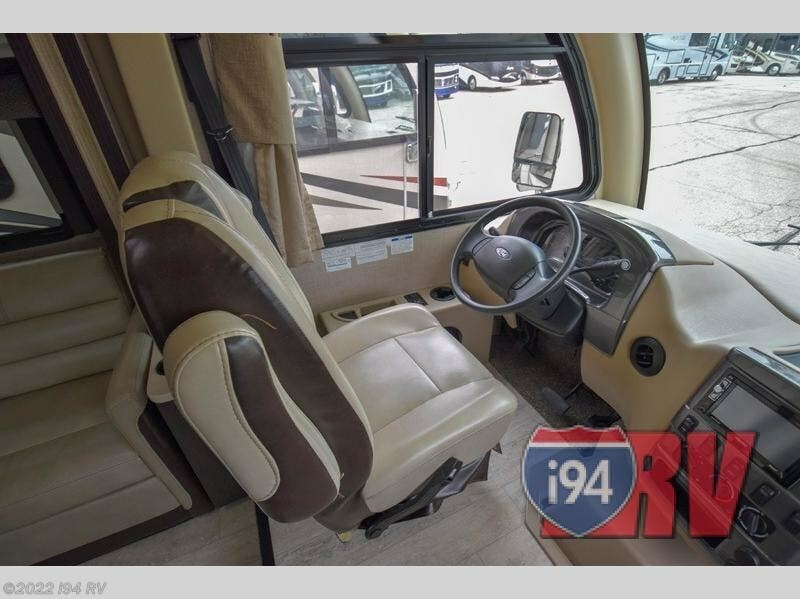 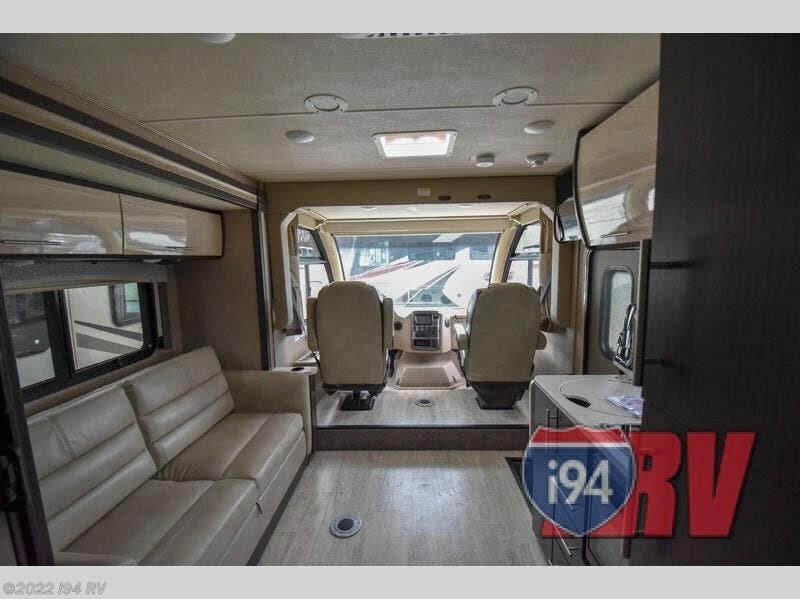 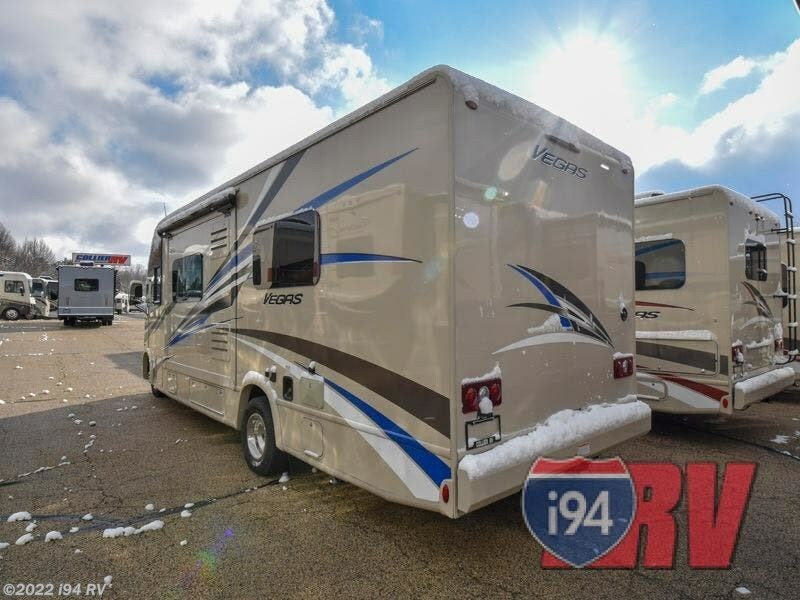 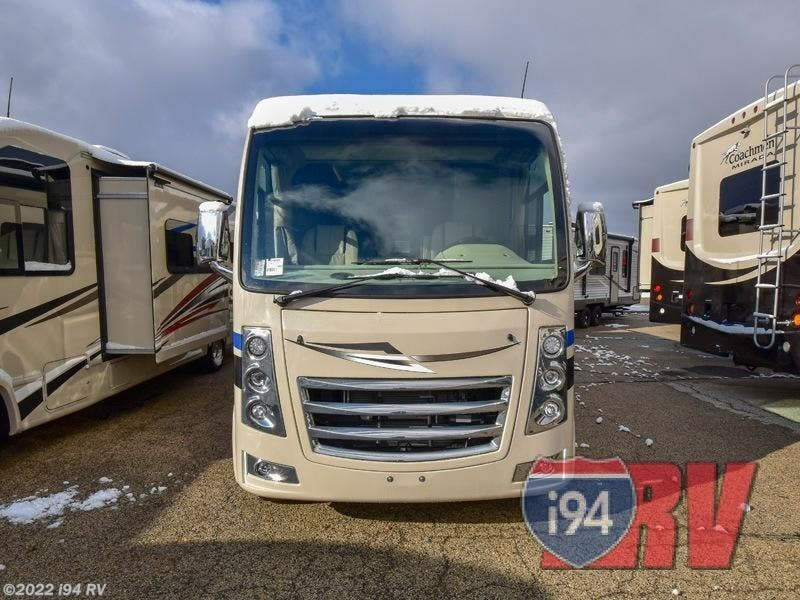 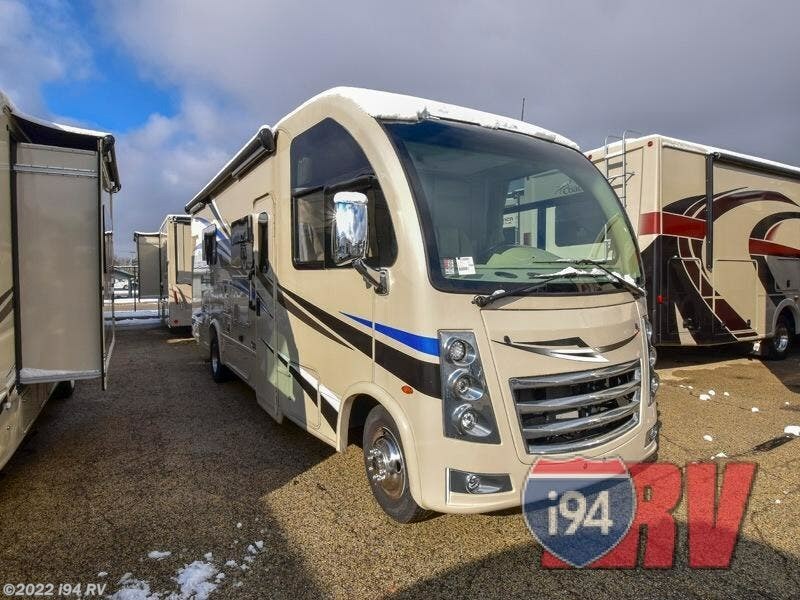 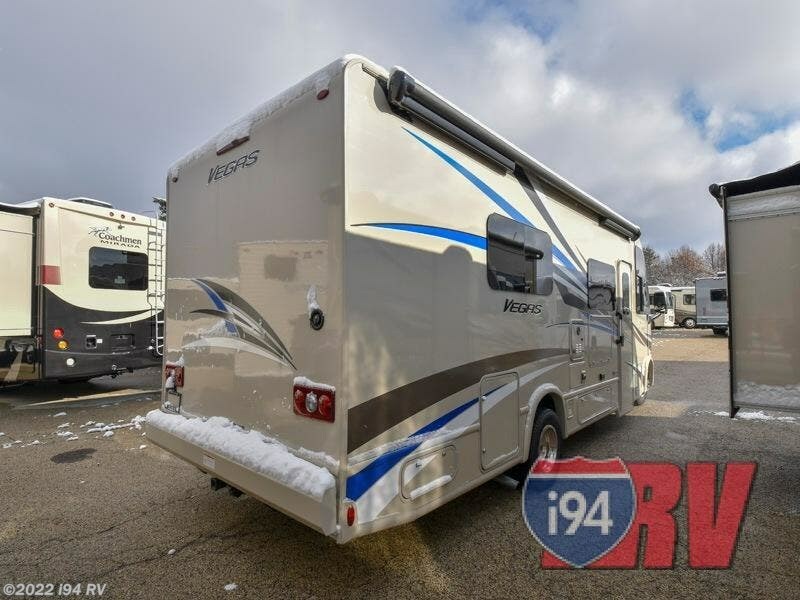 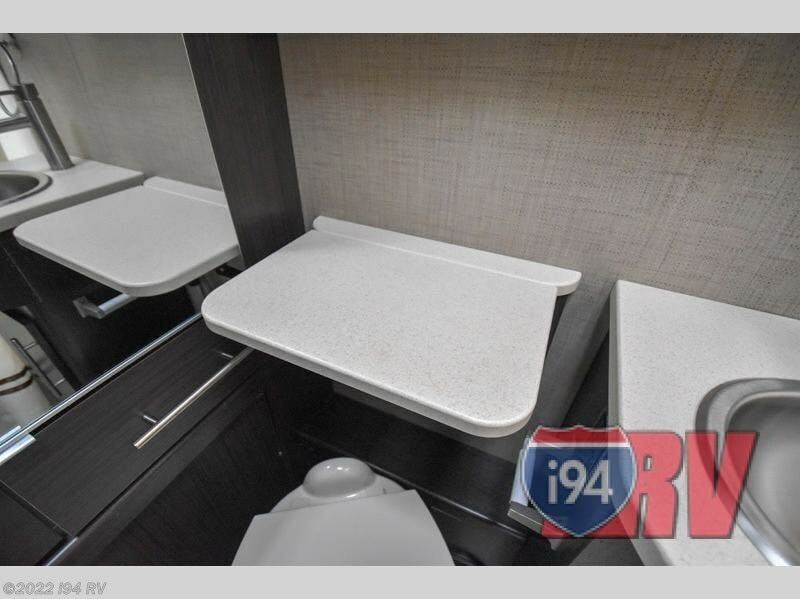 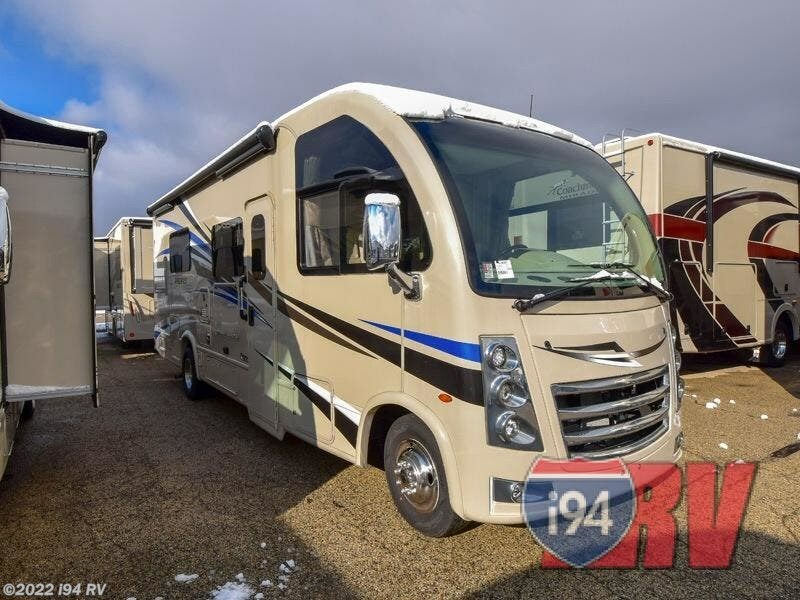 Since the Vegas is a bit smaller than the tradition class A they are easy to drive, but don't let size fool you as they are not lacking when it comes to amenities or comfort! 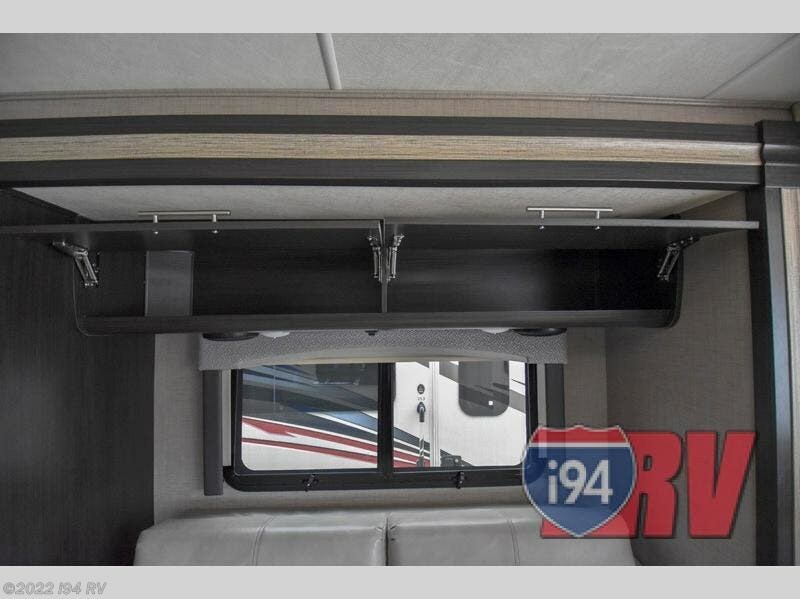 Each are constructed from a welded tubular steel floor, roof, and sidewall cage including a one piece TPO roof and fiberglass front cap. 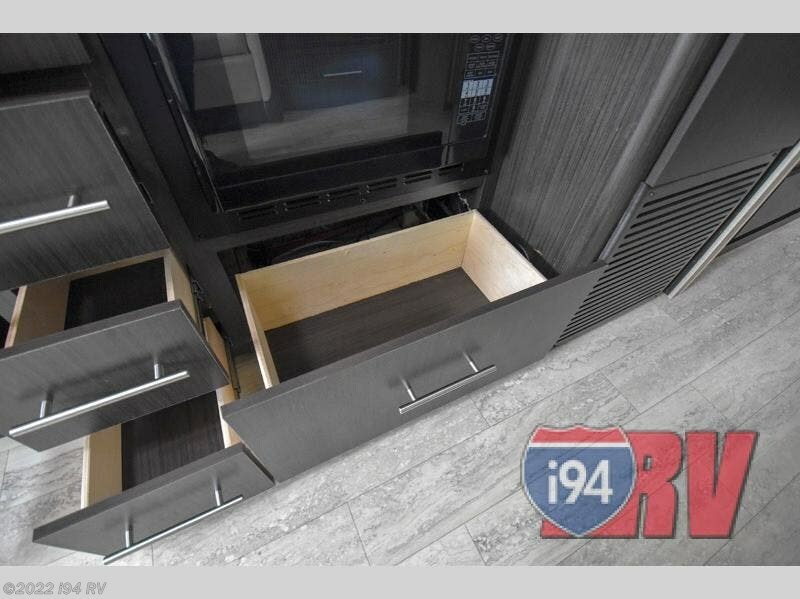 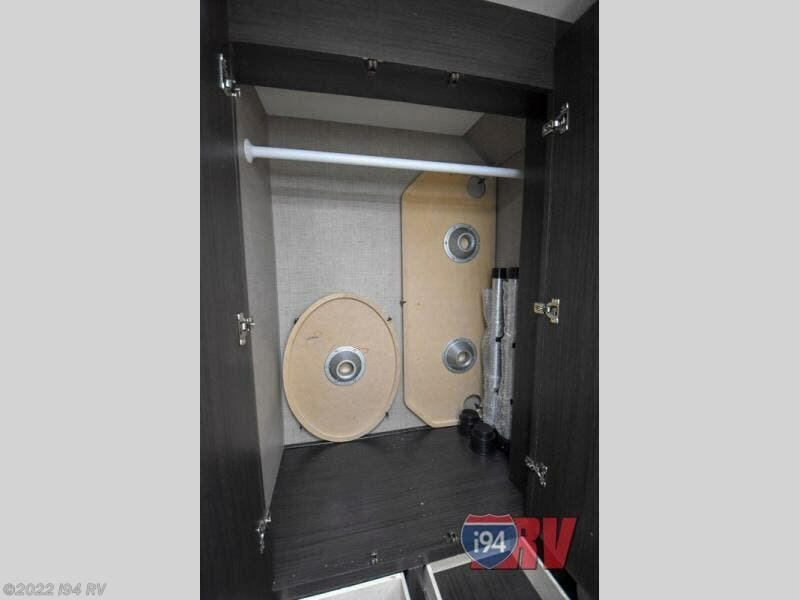 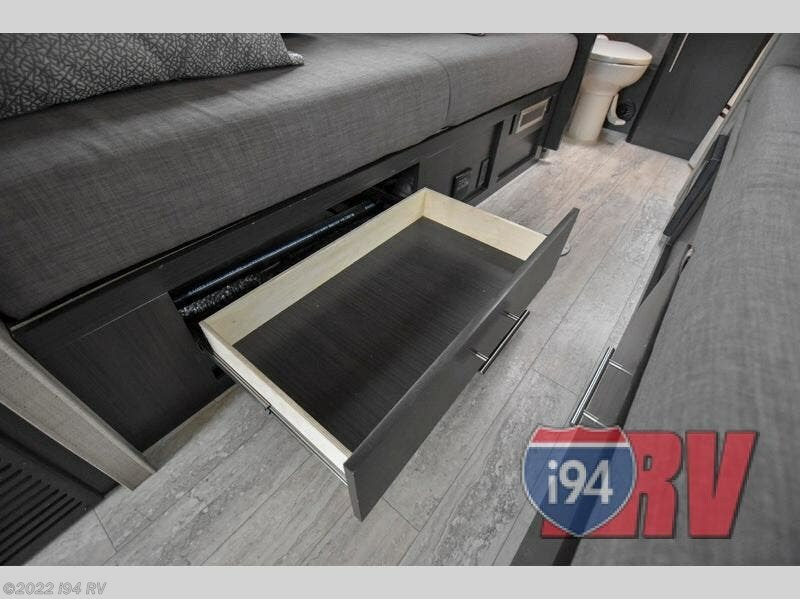 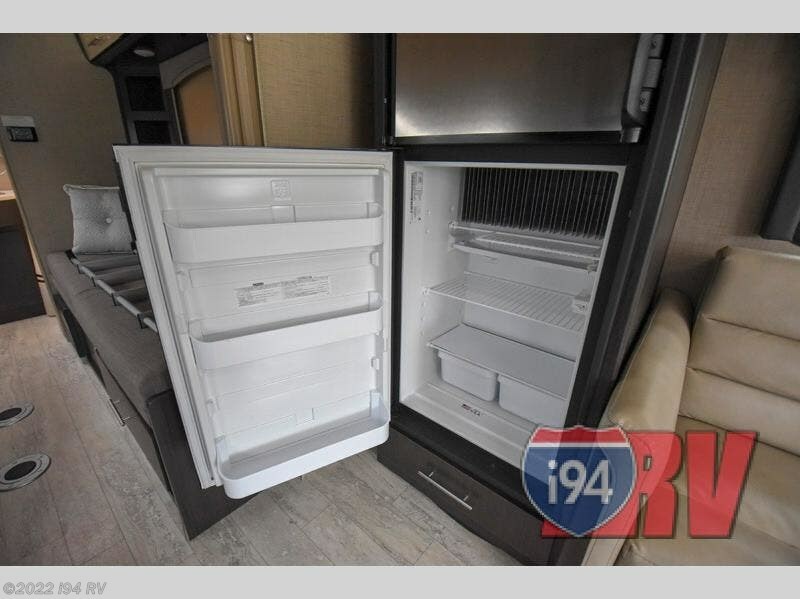 You will appreciate the lighted rotocast storage compartments on the outside, and Euro-style cabinet doors with soft close hidden hinges on the inside. 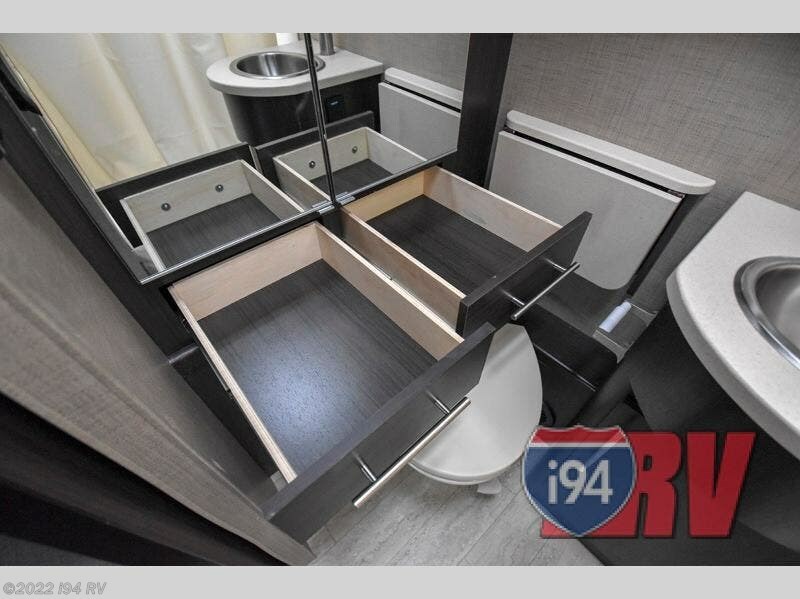 Comfortable furnishings, a complete bath, and functional kitchen amenities make this a smart choice when it comes to all of your travel needs. 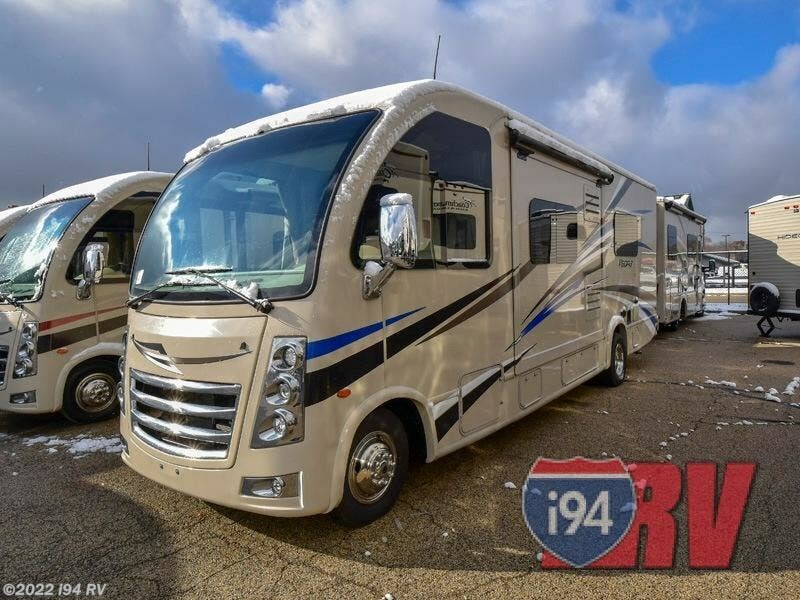 Make your choice a new Vegas class A gasoline RUV by Thor Motor Coach! 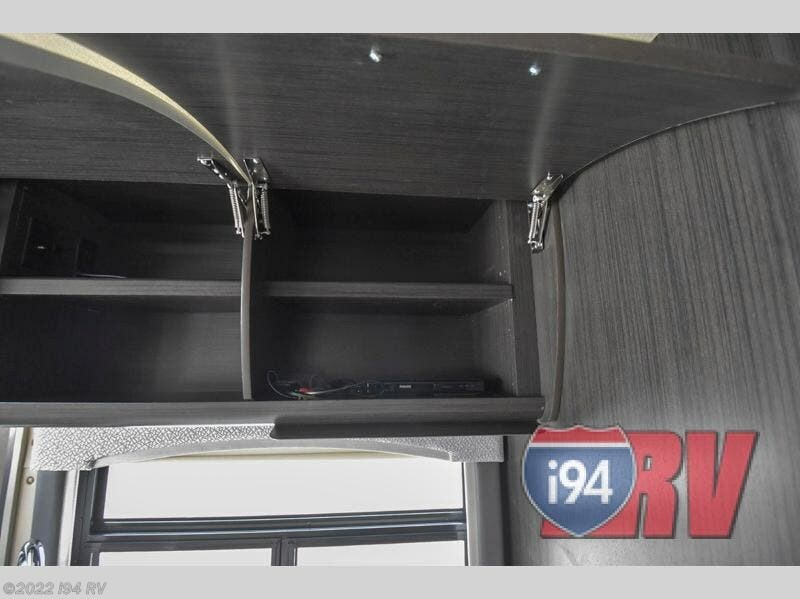 Check out Stock # C18351 - 2019 Thor Motor Coach Vegas 25.5 on thorrvsource.com!